How many copies were pressed for Record Store Day 2017? Thank you.. Placebo is one of my top 10 all time favorite acts. 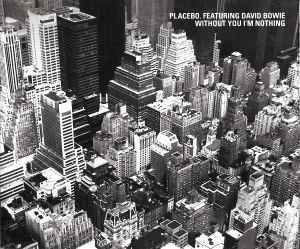 David Bowie is in my top 75 favorite artist (like a lot but don't love) but the placebo + bowie = flat, flat, flat. this release marks the gradual decline of placebo. Placebo are a good band, but for fans of electronica, you'll be wanting this for the excellent Brothers in Rhythm remix. One half of which is Mr Dave Seaman, for my money one of the very best dj, producer and remixers ever. And he wasn't slacking when he went to work on this one. An artfully constructed progressive trancer that makes good use of the vocal and comes in with a great synth riff in the second half. This was a big tune for me when it was released, and it still stands up well today. They're not pricey. So just buy one!